Some important lessons have been learned today in our anti-bullying lesson in Year 5/2. Here are more details of what cyber-bullying is and what to do if it happens to you! 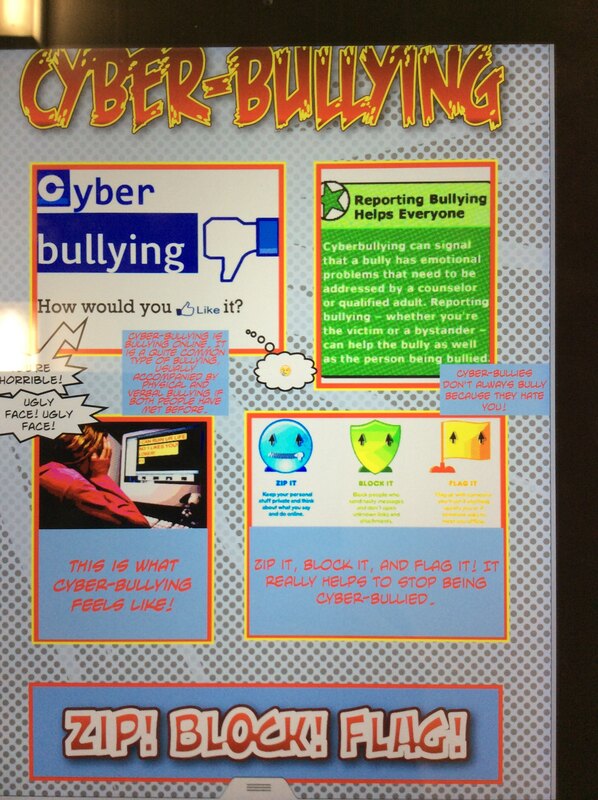 This entry was posted in Year5 and tagged Anti Bullying, P.H.S.E. on November 19, 2015 by Sandford Hill. 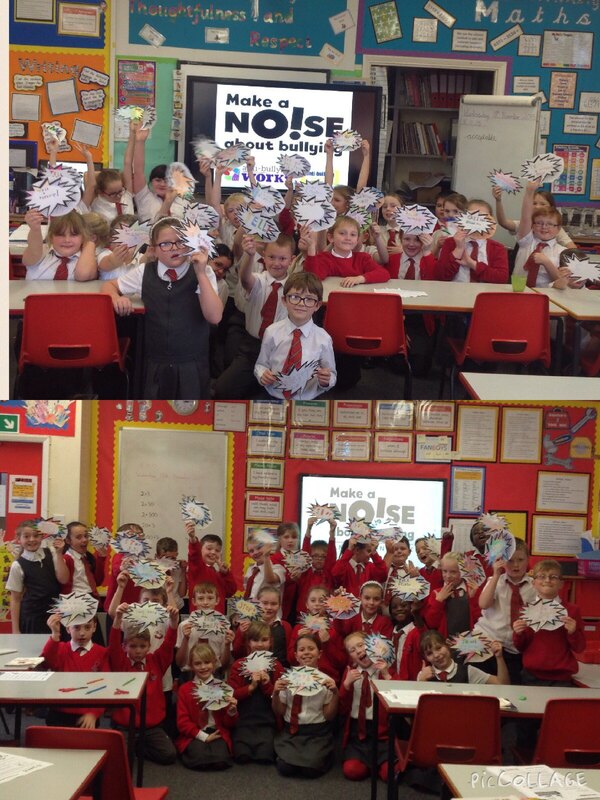 The main message we want children to take from this week is -Make a Noise about Bullying! This entry was posted in Year 4 and tagged Anti Bullying, P.H.S.E. on November 18, 2015 by Sandford Hill. 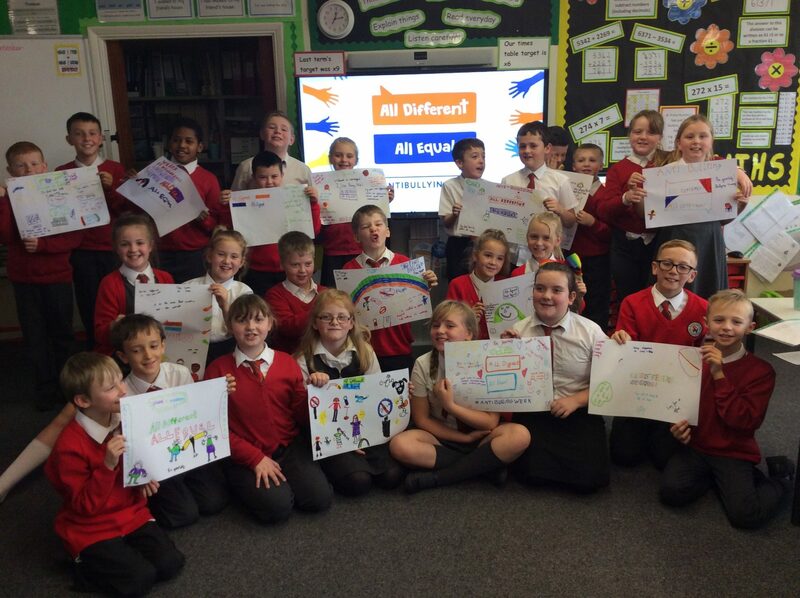 This afternoon, as part of our work during Anti Bullying Week, we spent some time thinking about being tolerant. To begin with, we thought about how we may be similar. At the same time, we also thought about how we all have our differences. We created the video below to celebrate this. 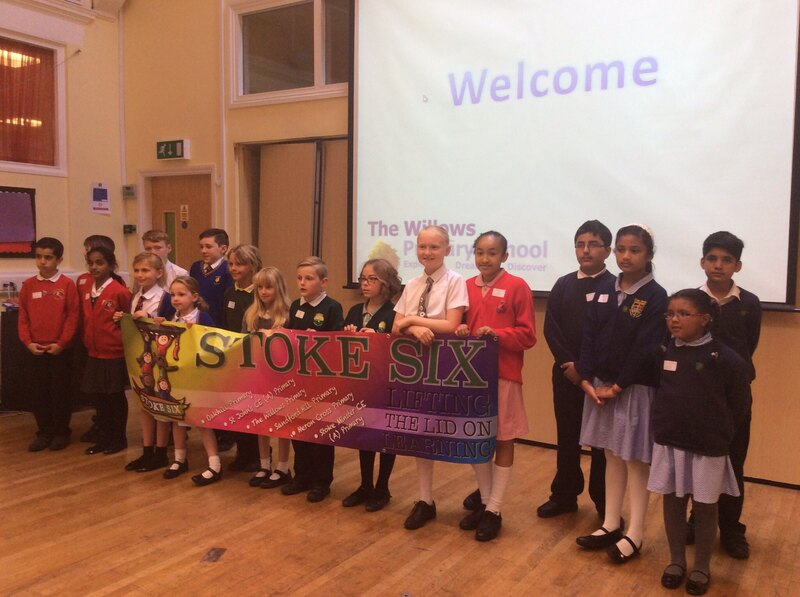 We want everyone to accept our similarities and our differences…that’s what being a ‘Thoughtful and Respectful’ school is all about! This entry was posted in Year 6 and tagged Anti Bullying, P.H.S.E. on November 16, 2015 by Sandford Hill.